It’s no secret that I love dessert. It’s not that I have to eat a whooping piece of chocolate cake to feel satisfied. A square of dark chocolate and a handful of nuts will usually do the trick. However, once in a while, I love to indulge in something decadent. It’s probably why 90% of my food pictures (titled Yummy) on Pinterest are sweets. I don’t know why I torture myself with these photos, and it’s a good thing I’m someone who can exercise a pretty good amount of restraint! I know I’m not the only pinner with a sweet tooth. In fact, my number one re-pin this month wasn’t a bathroom, bedroom or kitchen. It was a dessert! 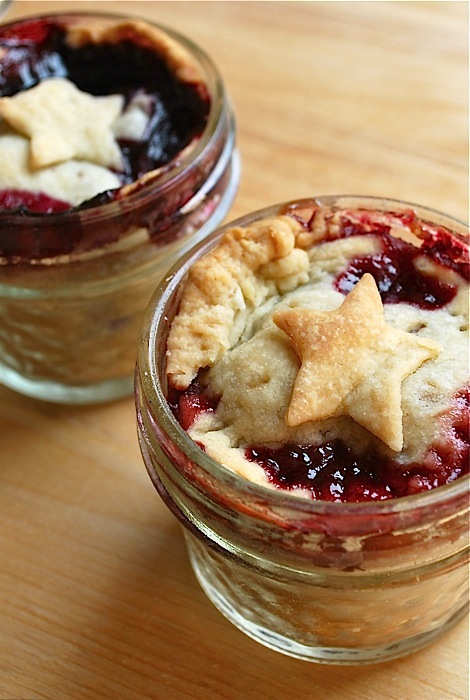 And, not just any dessert, but a cute little pie in a jar! I suspect that people are drawn to this dessert just as much for the presentation as the actual taste. 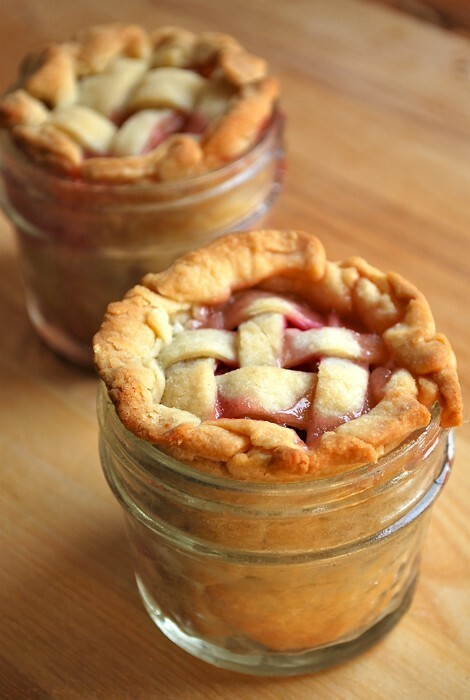 I do love peach pie, but the lattice detailed top in the cute little jar is what sold me on this recipe. There are also some different variations if you’d like to try another fruit. Although I haven’t made them yet, I know they’re going to be delish! I think I’ll try them for my husband’s birthday coming up at the end of the month. 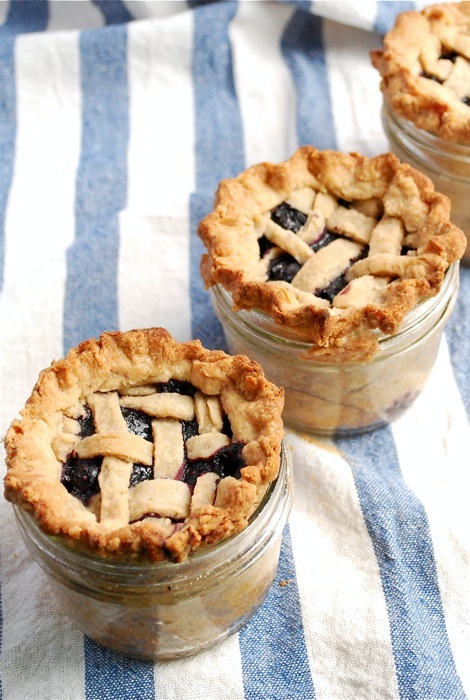 He’s a big saskatoon berry fan and these will be the perfect birthday dinner treat! Have you seen any interesting or fresh takes on classic desserts? What are some of your popular re-pins on Pinterest? Check out this dessert recipe and more on my Yummy Board on Pinterest. Follow Shauna- Satori Design for Living’s board Yummy on Pinterest. These look so good! I think I might try them with apples. Lisa, that’s a fantastic idea! Makes it a little simpler too! These look so cute! I love pie! Wow I love these. I will definetely try them this week-end! You make me want to follow you on pinterest!